There is a strong argument that the concept of nation states has given order to previously loose geographic entities, providing many countries with a compact and clearly demarcated area to adopt governance in. However, at the very least, it has also been responsible for dividing people who hitherto co-existed, consequently stemming natural trade and cultural flows as well as imposing novel identities on people, under the banner of a flag. The words absorption, hybrid, syncretic and fusion are arguably synonymous with Indian history. It could certainly be argued that these key traits enabled the region - which today is commonly and perhaps apolitically referred to as South Asia - to thrive and prosper. Indeed, If one were to start from the Mauryan empires of the 4th and 3rd centuries BCE; as a vantage point in history and then work our way - with a broad brush and adopting a loose definition of the territory – up to the 18th century; this region has (with certain exceptions no doubt) controlled between approx. one third and one fourth of the world's economy. In 2011, the region is now dominated in size and economy by the nation state of India, it is also abutted by a number of smaller nation states, with the most prominent being it's 'arch-foe' Pakistan. India's GDP has regressed from a historic high of around 30% of world GDP to 2% today, notwithstanding it's rapid leap since 1990 to integrate with the world economy. The effects of colonialism followed by the adoption of the essentially European construct viz. the modern nation state peppered with the traumatic and hate-fuelled partition of British India, into what emerged as a further two nation states - in the shape of Pakistan and Bangladesh – could be cited as reasons for the continued decline in share of world GDP for the region. Accepting the above as a very generalised summary, adding another historic touch before grappling with modern-day issues that impede the economic growth of this region is considered a must. Just as throughout the history of Indian civilisation, the geographical area thought to encompass it has witnessed different histories. For example, each of the following; the north, centre and the south have in essence a different history from each of the other. Different dynasties and distinct 'golden ages' were reflected in various epochs, characterising each of the three parts. Foreign exposure, influence and absorption always added to the complexity of what can be described as 'Indian civilisation'. It's geographic limits stretched as far as modern-day eastern Afghanistan at one end and modern day Indonesia at the other. Again, not limited to within one epoch or dynasty. While there are just and manifest reasons to understand and tackle the myriad of tensions that litter the wider South Asian region, it is undeniable that the dual and as yet mutually in-exclusive issues of Indo-Pak relations and the 'Kashmir Issue' dominate the region's political discourse. Many analysts within the region and from the global community may well differ and cite Afghanistan. Nevertheless, if Indo-Pak relations take a fresh, lateral course and overcome messy historical baggage accumulated since the aftermath of the Indian mutiny in 1857 - characterised by giving undue importance to religious identity - not only would the region be thankful for an end to a frankly morbid Indo-Pak peace process, it would instigate the possibility of returning much gasped for civil space in Kashmir and could set the scene for Indo-Pak co-operation on developing Afghanistan. The latter prospect, though Panglossian in aspiration, has been envisaged by a rising number of people on either side of the Indo-Pak border (via the net and free of State shackles). In one's humble opinion, it could be foreseen if only the two previous conditions are seriously given scope to on the ground. There is a strong argument that the concept of nation states has given order to previously loose geographic entities, providing many countries with a compact and clearly demarcated area to adopt governance in. However, at the very least, it has also been responsible for dividing people who hitherto co-existed, consequently stemming natural trade and cultural flows as well as imposing novel identities on people, under the banner of a flag. This had an immense impact on trade, evolution of civilisation and freedom of identity: perhaps none more so than the vertical boundaries between India, Pakistan and Bangladesh. Taking into account Europe's historic evolution and relatively seamless transition to a community of nation states, it is perhaps little wonder that the region's 30% share in world GDP has dwindled to 2%. What began as pernicious interplay between religion and politics in the region has unfortunately become embedded aspects of state policy in Pakistan and most certainly informs the motivation of the BJP in India, if one were to take it's 'red rag' initiative to Lal Chowk in Srinagar (today - Wed. 26/01/11) as a moot example. Be that as it may, it is also becoming increasingly apparent that religion is succumbing to economy as the main motivator of the public's political decision-making in the region. There-in lies hope for the region to regain it's historic foothold in the world economy. There is a caveat though. The idea is not to undermine religion per se. Even those of us who are irreligious should appreciate the merits of religion and it's ability to inspire and commit one to do good. The idea of spirituality being a potent anti-dote to materialism is a well-recognised phenomenon in the West as much as it is in the East. The freedom to practice religion is also an inalienable right every bit as much as the freedom not to (practice). Having a good hard look at the interplay of religion and politics in this region over the past 150 years or so would suggest that religion (of whatever dispensation), when used as a mobilising force for political ends has invoked irrational hatred followed by destruction. The urge to destroy has proved invariably greater than the urge to build or construct. Invoking religious passion for political ends is relatively easy and destructive I.e BJP and Ayodha in 1992. Delivering economic needs requires careful and creative construction. Iqbal must have had good intentions in his narrative on politics and religious identity but his thesis offers little to answer the needs of the modern day economy and requirements of governance. Despite the torment of partition, India has done remarkably well to integrate what was left of the northern, central and southern parts of the Indian civilisation and wed it's identity into a modern nation state. Controversial as it may be, Pakistan in equal measure has failed to integrate the parts it took over, failing to conciliate the modern nation state glued together primarily by religious identity. Both realities obviously competed in Kashmir by immediately giving it the same vertically divisive treatment that both countries had undergone courtesy of partition. This is the juncture where the horizontal re-integration of India and Pakistan or at least the acceptance of it should pave the way for Kashmir's horizontal re-integration. It is contended that this is the basis for the South Asian region realising it's economic potential and enabling a neutral Kashmir, to be (amongst numerous other utilities) the node of exchange between Central and South Asia. One finds reminiscence in the words of the great fourteenth-century Muslim-Arab thinker Ibn Khaldun, who considered that civilisations in decline could prevent disintegration by imitating their victors. This is most certainly not an allusion to an Indian victory over Pakistan. It is rather a recognition that Muslims have in the main failed to adjust and adopt new ways of thinking over the past five hundred years. What the West contributed to global civilisation in this corresponding period (not without great cost), was and has been adopted by the Hindus of India. The strengths of this civilisation are it's ability to absorb, integrate and create it's own. A heritage as much owned by Muslims as well as Hindus. India could be described as a giant with 'feet of clay' without Pakistan. It's highly unlikely that Pakistan will yet again be bailed out of it's current predicament by another country, unless of course India embarks on an 'outward thrust' in the shape of a 'soft charm offensive'. Author is a writer, broadcaster and activist working for civil society development in Pakistani administered Kashmir and can be mailed at sahaafi@gmail.com. I think we are still 200 years behind this country, on many counts. A small country in North Africa with a population of about 10.5 million people - hugging the mediterranean coast and with it's fair share of colonial history, opined by many of it's inhabitants to be an 'open prison' - has defiantly opposed the state and altered the balance of power in their favour. An event of injustice that sparked the public uprising on December the 17th in the Tunisian town of Sidi Bouzid, culminated in 78 deaths with a further 94 injured (according to official figures) over the next 27 days and a tangible prize of uprooting their autocratic ruler of 23 years, namely President Zine el Abidine ben Ali. In a striking resemblance to the Shah of Iran's ouster in 1979 and the consequent refusal of the U.S. to 'harbour' him, Ben Ali's primary 'benefactor' France closed their doors to him last Friday (14th of January), forcing him to flee to Saudi Arabia instead. The events of this preceding month, perhaps more than any hitherto, confirms the applicability of communications technology to facilitate participatory inter-connectivity in a stifling political structure and create much-thirsted for - civil space. Could globalisation now be defined as much an exporter of dissent as the fruit of the market economy? Many similar questions and propositions feature on cyber-chatter. Indeed, a rapidly emerging global civil society may render the current geo-political structure of the world as too ugly to bear and too archaic to deliver. It is clear that the power structure in Tunisia has been circumvented. The task of this piece is to compare some of the ills that have afflicted Tunisia and Kashmir (with a particular emphasis on Pakistani-administered Kashmir) and try to understand how the Tunisians have combusted for change whilst many Kashmiris, despite living under similar restrictions and afflicted with a similar political structure (at least in some respects) still remain largely nonplussed about their future. If one were to analyse the determinant factors that led to the Tunisian uprising, they would un-arguably be described as chronic unemployment, police brutality and government corruption. Factors which the population of Kashmir – on either side of the Line of Control - is acutely aware of as features of their existence. In AJK, whilst the public struggles to grapple with the concepts of 'policy' and 'issues' with an election looming, their Tunisian counterparts have not limited their democratic prowess to just merely be amongst the counted in a ballot box, they've intensified the burning desire to engage in direct and innovative methods for their participation in the political process. They've also torn to shreds the fake democratic process that returned Ben Ali to power for the upteenth time two years ago. Votes apparently cast in his favour? A resounding 90%! This state of affairs necessitates a quote from the Greek historian Herodotus who opined 2.500 years ago: "No conqueror or despot can last forever in power without the consent of their subjects." His opinion appears to have weathered the storm of time. That is not to suggest that 'people always have the government that they deserve'. There has to be a lag between the onset of awareness and sharpening of tools required for change. 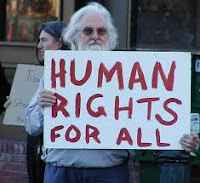 It is not until one physically experiences on a prolonged basis, living under an autocratic leadership in servitude to a militarised structure, whose survival necessitates controlling the levers of power, that one can truly appreciate the challenge for civil society. Before returning to the similarities between Tunisia and Kashmir, it may be important to note that many a columnist is painting an ominous picture for the Middle East and other such 'Kingdoms' in North Africa, by quoting (apart from the similarities in culture, language and religion) the repression of freedom, high levels of unemployment and tacit approval of those regimes by the 'West'. Clearly a further distinction between Tunisia and certainly 'our' part of Kashmir (viz. AJK) is the high level of education and skills that young Tunisians have; compared to us. For example, they have more than 230 000 job-seekers possessing tertiary education degrees. Their net savviness has caught the attention of the world whilst our graduates still have trouble creating an email address. This can loosely be described as a result of Pakistan concentrating our minds from primary education onwards - on the fearful 'Hindu' enemy across the 'line' - whilst Tunisia, despite being ruled by authoritarian presidents since gaining 'independence' from France in 1956, characterised by zero tolerance for political opposition (Islamist or otherwise), it concentrated on economic and social development – particularly education and women’s rights. Apart from the above, similarities in problems are almost uncanny in resemblance. For example, mafia family practices, such as the forceful acquisition or expropriation of people’s property is as common here as it is there. The surge in food prices has made the population here as edgy as it has our Tunisian brothers and sisters. Meanwhile, the social costs of our predicament have caused alarm vis a vis Tunisia's mass uprising, particularly when World Bank 'approved' economic growth rates and containment of terror didn't translate into social harmony. In our case, the world is yet to fully understand our social and economic concerns while it harps on the 'War of Terror' in our southwestern midst and continues to defy logic by stressing on a Kashmir solution that ought to be worked out by India and Pakistan. Tunisia has been considered to be a world leader in surveillance and internet censorship, rivaling North Korea and China. For us, internet access and speed is an issue of more immediate concern. They didn't have institutions functioning as intermediaries between the state and society apart from a massive security apparatus. We could probably compete with them on that score. Being afraid of discussing politics even in private - in light of an abundance of informers - is a familiar refrain in AJK as much as in pre-uprising Tunisia. The associated lack of civil space meant that 'gainful' employment only existed in the Pakistan army or it's associated agencies. The Tunisians suffered a similar lack of choice. Unless of course, they wanted to use their education to co-opt into Tunisia's growth strategy that focussed on low-skill sectors dependent on cheap labour, i.e. textiles and tourism. In AJK, they preferred to dream of reaching the United Kingdom. What triggered the mass exodus of youth from the Kashmir Valley in the late 1980's? An exodus arguably unparalleled in the history of the Valley. One may have to go back to the famines of the nine-teenth century to find any resemblance of similar movement. Many commentators describe wide-spread rigging of the 1987 Assembly Elections in Indian-administered Kashmir as a water-shed moment and the 'final straw that broke the camel's back'. This migration of youth from the Valley in droves was accompanied with a high amount of zeal, some climbing as high as 15,000 feet to reach the 'base of Islam'. It also co-incided with the final embers of the Cold War battleground in Afghanistan, with it's associated hangover of unutilised weapons and unemployed manpower. Another emergence was that of an indigineous agency, namely the JKLF, that begun to find it's activities enjoying large-scale mass support before everything warped into internecine conflict - amidst conflict of interest between different 'players' in the insurgency - allied with vigorous allegations of targetting of non-Muslims of the State. How many came and how many have returned is yet unclear, although they remain in size-able number in the metropolitan areas of Islamabad, Rawalpindi, Lahore and closer to home in Muzaffarabad. There are also many who eke out their existence in refugee camps on the outskirts of Muzaffarabad. Much of the information that is needed in terms of numbers of migrants appears to be a closely guarded secret of clandestine agencies. Who remain forever vigilant of this group of people, irrespective of where they live and what they do for a living. There is no way around this research dilemma unless one has a mutually beneficial relationship with representatives of these agencies. A proposition utterly untenable for yours truly. Much as is the case with other matters of research, first-hand research is not only difficult, it can be argued that the system is designed to confuse and obfuscate the diligent seeker of first-hand detail. Thus, one is at times forced to rely on anecdotal evidence and hearsay which could have a thousand different motivations, possibly coated with an equal number of exxaggerations, deliberate or otherwise. Figures vary widely from person to person and despite an air of authority professed by some narrators, one has to reconcile different figures quoted and still remain uncertain. Just as we are not clear as to how many Kashmiri Hindu Pandits emigrated from the Valley to Jammu and further south in the early 1990's (figures vary between 100,000 and 400,000), It is similarly unclear as to how many Kashmiri Muslims left the Valley for training and later settled in Pakistan or Pakistani-administered Kashmir. There are at least three types of refugee. One realises that the word refugee is also not free of controversy. Describing someone who has migrated from one part of the divided State to the other as a refugee is offensive to some. It probably also gives an indication of the 'limbo' status most of these find themselves in. When they initially arrived, they were without exception given a rapturous welcome and referred to as 'hamarey mehmaan' (our guests). There is also a common argument that most of the people that crossed over in the early 1990's for arms training were to put it rather crudely, from the less integrated sections of society. Many hadn't fared well in education, even less belonged to any recognised profession and some even had a criminal record in the Valley before they left. Of the three categories, a certain minority has benefitted immensely in economic terms from the 'freedom struggle'. Needless to add, they have little incentive to return. The second category consists of mainly professional working people who have adjusted and integrated with life in Pakistan, albeit forlornly. They are terribly bitter about their experience and rationalise their predicament by exclaiming that they thought they had entered the 'Land of Heaven' where proverbial milk and honey flowed; only to be rudely awakened to the reality of hell. For them, if life was simply about a career or profession, then they would have been far better off doing the same at home in the Kashmir Valley. The harsh reality of life in Pakistan, where they found that people were not particularly religious, rather that religion was used as a recruiting tool for Pakistan's own national interest. This reality disturbed them immensely and troubles them incessantly. They had sacrificed themselves in vain. This second category of migrants have a sense that their own gentle 'sufi' ethos was disturbed and jolted in what seems an ill-calculated moment of passion. They had become extreme. It should be made clear that India cannot abdicate from it's responsibility for this metamorphisis. The supposed Messiah (Pakistan) turned out to be another Jailor. What this writer found of particular interest was their empathy for the Kashmiri Hindu Pandit community. In the words of one such Muslim Kashmiri of the Valley in Muzaffarabad, "We understand what they've been through because we have also been deprived of our motherland. It is as important for them to return as it is for us." The final category of people are those that are littered throughout refugee camps and who heaviliy depend on the 1,500 (PK) rupees per person per month package that Pakistan - again through her clandestine agencies - provides them for basic living expenses. It is ironic that the largest such 'refugee' camp is in Ambor, just a few kilometres south of Muzaffarabad. This is the very camp where Hindus and Sikhs of the State were kept in late October 1947 onwards, in a supposed bid to protect them from persecution before transporting them (away from their motherland) to either India or Indian-administered Kashmir. One has heard through the grapevine that many of those in the second and third category of Valley refugees have persistently demanded that Syed Salahudeen of the Hizbul Mujahideed (and Chairman of the United Jihad Council) take issue over their plight with the Pakistanis. It is understood that on one occasion he lambasted his fellow Kashmiris in frustration, "If your willing to starve, then I'm willing to lead you in rebellion against the Pakistanis!" An important conclusion that one draws from this whole phenomena is how dejected and pessimistic the vast majority of these hitherto youth and now men in their forties feel about the future outlook of our region. It appears that even genuine work on civil society development is too difficult for them to visualise. The riches that some of their compatriots have amassed in the name of the 'Kashmir Issue' combined with the torture, arrest and humiliation that many of them have endured here, has worked like a double-edged sword, that continues to pierce their spirit for humanity with constant regularity. How or what can be done to restore hope in them is difficult to imagine. Their daily recurring dilemma is that they know they can't genuinely support Pakistan and neither can they run away from Pakistan. This article was first published in Rising Kashmir (a Srinagar-based English daily) on the 12th of January 2011. Does it occur to anybody that the most beautiful place on earth could also be the most economically viable? That this hasn't dawned on most people around the globe is simply due to malafide intent. We can all draw our own conclusions as to who is responsible for how much of our current economic suppression and imposition of a false economy. Jehangir's (aka Saleem of Anarkali fame) words stand out in the annals of history. My thanks to Tariq Ali for his take on events throughout the history of this region. I take the following from his mesmerising narrative: “‘The buildings of Kashmir are all of wood,’ the Mughal Emperor Jehangir wrote in his memoirs in March 1622.’ Surveying the lakes and waterfalls, roses, irises and jasmine, he described the valley as ‘a page that the painter of destiny had drawn with the pencil of creation’." "When the Muslim poet and philosopher Iqbal(RA), himself of Kashmiri origin, visited Srinagar in 1921, he left behind a subversive couplet which spread around the country:"
Returning to 2011, Pakistan and India must realise that democracy is not on their side when they lay their respective claims on Kashmir. For those of us who live on the east wing of the LoC, a debate has already matured about the manner and means in which public representation is sifted. Their co-citizens west (of the LoC) are only just beginning to reach the age of political puberty. The forthcoming PaK Assembly elections would do no more than replay a brutally over-played record, agonisingly called self-determination. The stance of most nationalist politicians (in PaK) has been as much reactionary as it is bizarre. Their decision to enter the election fray is much too little, way way too late. What many lawyers in the State of PaK describe as 'An Act of Slavery' - viz. The AJK Interim Constitution Act 1974 - and which herds the population of PaK into a pro-Pakistani camp, irrespective of their ability to think otherwise: Nationalist parties have suddenly surmised that there is no alternative but to barter their conscience and sign a pledge to promote "Kashmir's accession to Pakistan". Their 'all is lost' assumption that an election campaign will enable them to promote the 'National Question' is demonstrative of their lack of work on civil society development. Parvez Hoodbhoy, Professor at the Department of Physics at Quaid-e-Azam University in Islamabad, describes Pakistan’s collective psychosis as being 'painful to behold'. That psychosis is evident in Pakistan's charmed political representative in PaK, Sardar Attique Ahmed Khan. Watching him rap a well-rehearsed lesson from GHQ (or even GOC Murree) across prime-time Pakistani TV stations, was not only reminiscent of his father; it also reminded one of madrassa learning by rote, as Attique rocked back and forth in his TV studio chair. Yasin Malik has repeatedly expressed that the past six decades have delivered nothing for Kashmir. Many MLAs of this (PaK) Assembly that proudly promotes the kalima (much like Pakistan's National Assembly) as it's defining logo, have expressed privately that the 'Kashmir Issue' is a business. For Pakistan, it has the gilt-edged benefits of engaging India and the international community while it economically consolidates it's presence in 'Azad Kashmir'. With each Assembly election, Pakistan's grip is tightened. With each diplomatic foray, it's relevance in Kashmir is refreshed. The question is: Can Pakistan continue to conduct what one prominent journalist in Muzaffarabad describes as "a fake process"? That Pakistan's responsibilities under UNCIP resolutions to enable 'good governance' have consistently been unheard, in virtually every other act that it has conducted which requires public consultation, procedure has not followed. The people of PaK have been inundated with a false sense of superiority-vis-a-vis Pakistan's image in the outside world - and the Pakistani State has acted ruthlessly in quelling intellectual dissent. Economic suffocation is followed by targeted assasination. The examples of Mirwaiz Moulvi Muhammad Farooq, Abdul Gani Lone and JKLF ideologue Prof. Abdul Ahad Wani are glaring examples east of the LoC. Far from tolerating the delusions of some ISI colonel, the people of PaK sense their suffocation (economic, cultural as well as intellectual) and they are rapidly recognising the futility of an AJK Assembly that addresses the 'National Question' in an archaic and jingoistic manner. The PaK Prime Minister is still prone to referring to Hindus in a derogatory manner and threatening nuclear annhilation in the region, if talks fail to bear fruit for Pakistan. Deceiving the people of Gilgit Baltistan about opening the route from Astor (in Gilgit Baltistan) to Shonter Pass (in ‘Azad Kashmir’) is further vindication that our political representatives do not represent our interests, they represent the colonial interests of our neighbours. One can delve deeper into the kleptocacy that is PaK politics by analysing how people in positions of responsibility conceal their paperwork from the public. In line with other political structures in the region, no one starts any work till they have figured out who will pocket how much and how they'll siphon it off. 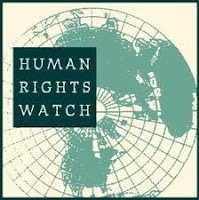 When Human Rights Watch published their 23,000 word report on September the 21st in 2006 about ‘Azad Kashmir’ – tantalisingly entitled, "With friends like these..." - one had hope that transparency would ensue. "Information, particularly about the human rights situation, governance, the rule of law and the institutions that hold real power in Azad Kashmir is more important than ever as the territory rebuilds and, by necessity, opens up to the international community in the aftermath of the earthquake. In the coming years, international engagement with the territory is likely to be intense. For that engagement to be effective and beneficial to the people of ‘Azad Kashmir’, it is essential that international actors approach the territory with an awareness of its particular history and its fraught, often tense and unhappy relationship with the Pakistani state in general and the Pakistani military in particular." Taking into account the frustrations involved whilst conducting research work in a disputed territory, obfuscating tactics on the part of the administration, were at times too painful to bear. It leads one to explore the possibilities of 'outsourcing' governance. It seems anything that will modernise the system of administration looking after the needs of a population less than 3.5 million - in number - in a transparent, accountable and meritocratic manner is what the public is thirsting for. It's another matter that many of them are yet to formalise their opinions. An education system has left us ill-equipped for the modern-age. The magnificence of the virtues of informed public opinion integrated with modern communication technology is a power not yet obvious to the masses in PaK. How soon can civil society address this deficiency borne out of malafide intent? "Information, particularly about the human rights situation, governance, the rule of law, and the institutions that hold real power in Azad Kashmir is more important than ever as the territory rebuilds and, by necessity, opens up to the international community in the aftermath of the earthquake. In the coming years, international engagement with the territory is likely to be intense. For that engagement to be effective and beneficial to the people of Azad Kashmir, it is essential that international actors approach the territory with an awareness of its particular history and its fraught, often tense and unhappy relationship with the Pakistani state in general and the Pakistani military in particular. Azad Kashmir is a legal anomaly. According to United Nations (U.N.) resolutions dating back to 1948, Azad Kashmir is neither a sovereign state nor a province of Pakistan, but rather a "local authority" with responsibility over the area assigned to it under a 1949 ceasefire agreement with India. It has remained in this state of legal limbo since that time. In practice, the Pakistani government in Islamabad, the Pakistani army and the Pakistani intelligence services (Inter-Services Intelligence, ISI) control all aspects of political life in Azad Kashmir – though "Azad" means "free," the residents of Azad Kashmir are anything but. 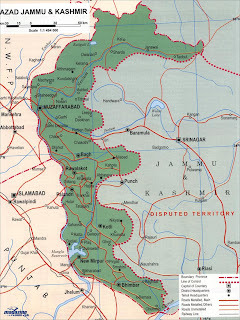 Azad Kashmir is a land of strict curbs on political pluralism, freedom of expression, and freedom of association; a muzzled press; banned books; arbitrary arrest and detention and torture at the hands of the Pakistani military and the police; and discrimination against refugees from Jammu and Kashmir state. Singled out are Kashmiri nationalists who do not support the idea of Kashmir's accession to Pakistan. Anyone who wants to take part in public life has to sign a pledge of loyalty to Pakistan, while anyone who publicly supports or works for an independent Kashmir is persecuted. For those expressing independent or unpopular political views, there is a pervasive fear of Pakistani military and intelligence services – and of militant organizations acting at their behest or independently."